northern Europe and Asia. It is strongly migratory, with many northern birds moving south during the winter. It is a very rare breeder in Great Britain and Ireland, but winters in large numbers in these countries. 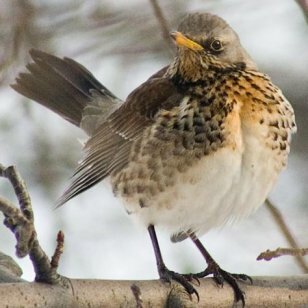 The Fieldfare is 22-27 cm long, with a plain brown back, white underwings, and grey rump and rear head. The breast has a reddish wash, and the rest of the underparts are White. The breast and flanks are heavily spotted. 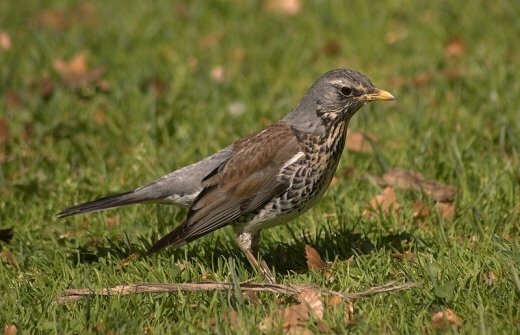 The Fieldfare has a large population, including an estimated 28 to 48 million individuals in Europe alone. 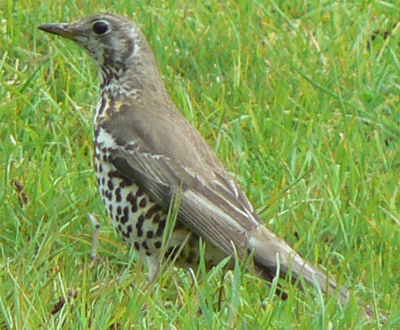 The Mistle Thrush, Turdus viscivorus, is a member of the thrush family Turdidae. south during the winter, with migrating birds sometimes forming small flocks. words Turdus, "thrush", and viscivorus meaning "mistletoe eater". plain greyish brown backs and neatly round-spotted underparts. Breast has much less buff than the Song Thrush. 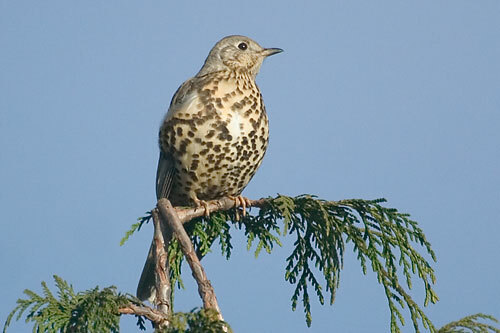 or at night, and starting relatively early in the spring  hence the Mistle Thrush's old name of "Stormcock". rattle (a form of musical ratchet) or machine gun. It is superficially similar to Song Thrush, Turdus philomelos, but is larger and greyer with round rather than arrow-head spots on the breast. It tends to stand more upright and, in flight, it shows white on the edges of the tail and under the wings. other thrushes in winter. 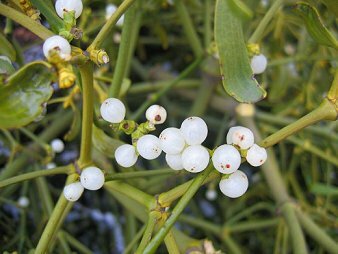 Mistletoe berries are amongst its diet. They nest in trees, laying several eggs in a neat cup-shaped nest lined with grass. The Redwing breeds in northern Europe and into Siberia. It is migratory and winters mainly in western and southern Europe. It moves south in October and November and tends to return to Scandinavia and Russia around April. 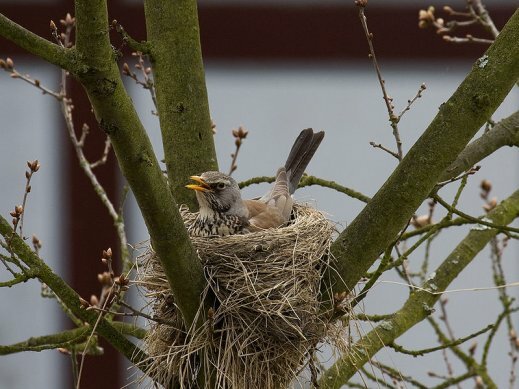 Its breeding area and migration habits are very similar to Fieldfare, Turdus pilaris. and is attracted by autumn berries and fruits. It is a relatively small thrush with a whitish supercilium and moustachial stripe. Underparts are heavily spotted but its most noticeable characteristic are its rusty-red flanks and axillaries.